CONGRATULATIONS to Steve McGowan for his ace on Hole #17 on Thursday, June 14th, 2018, during the Men’s Night Scramble. Steve used a 7 iron to make the 149 yard shot that was witnessed by Chris Hollowell and Wesley Blondell. Well done, Steve! CONGRATULATIONS to Randy Ryan who shot a Hole-In-One on Monday, September 4th, 2017, on Hole #12 during the Labor Day Mixed Scramble. It was Randy’s first shot of the Scramble and was witnessed by Teresa Ryan, Shaun Crane and Casey Crane. Randy used a seven iron to hit the 172 yard shot. Way to go, Randy!!! Congratulations to Alex Thomas for his ace on Hole #6 using an eight iron on May 14th. His hole-in-one was witnessed by Scott Thomas, Nick Mills and David Farris. Nice job, Alex!! Congratulations to Jay Venable who shot a Hole in One on February 27th on Hole #6. Jay’s shot was witnessed by Matt Ihnen and Dalton Bagwell. Way to go, Jay!!! Congratulations to Phil Azar for his Hole in One on Sunday, September 22nd, 2015, on Hole #12. Phil used a four hybrid on Hole #12, 178 yards. The shot was witnessed by Pete Jones, Tom Hampton and David Jenks. Well done, Phil! Congratulations to R. Sherwood for his Hole In One on Wednesday, July 22, 2015, on Hole #8. The shot was witnessed by J. B. Hollowell and Dennis Caksackkar. Well done !!! Congratulations to Michael Shawn Hayes on his Hole In One on Friday, May 22, 2015, on Hole # 6. Shawn used a six iron. Congratulations to Matt Ihnen for his Hole In one on Saturday, May 9, 2015, on Hole # 17. 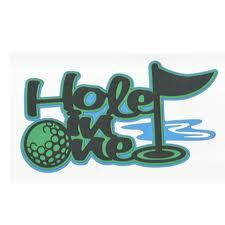 Congratulations to Lauri Cronin on her Hole in One on Saturday, July 5th, 2014, on #12. Lauri used a 3 wood for the 141 yard shot. Witnesses were Suzanne Jackson, Teresa Ryan and Becky Bell. Congratulations to Butch Freels for his Hole in One on Friday, August 2nd, 2013, on number 12 at RHCC. Butch used a 4 iron for the 168 yard shot that was witnessed by Tobin Crane, Stanley Crane, and Gayle Wadlington. Congratulations to Matt Ihnen for his Hole in One on Wednesday, July 3rd, 2013, on number 6 at RHCC. Matt’s shot was witnessed by Steve McGowan, Chris Hollowell, and Patrick Hollowell. Congratulations to Brad Moore for his Hole in One on Wednesday, May 15, 2013, on number 6 at RHCC. Congratulations to Jon Shelton for his second HOLE IN ONE on number 6 at RHCC on Thursday, November 6th, 2012. Congratulations to Jon Shelton for his Hole In One on number 6 at RHCC on Thursday, November 1st. The shot was witnessed by Richard Spence. Congratulations to Paul Ward for shooting a HOLE IN ONE on Hole #17 on Saturday, September 15th, 2012 during the Men’s Member/Guest Tournament. Paul was the guest of Kenny Roof. Congratulations to Jeff Parsley who shot a HOLE IN ONE on Hole # 8 during the Duke & Duchess tournament on Saturday, June 9th, 2012. 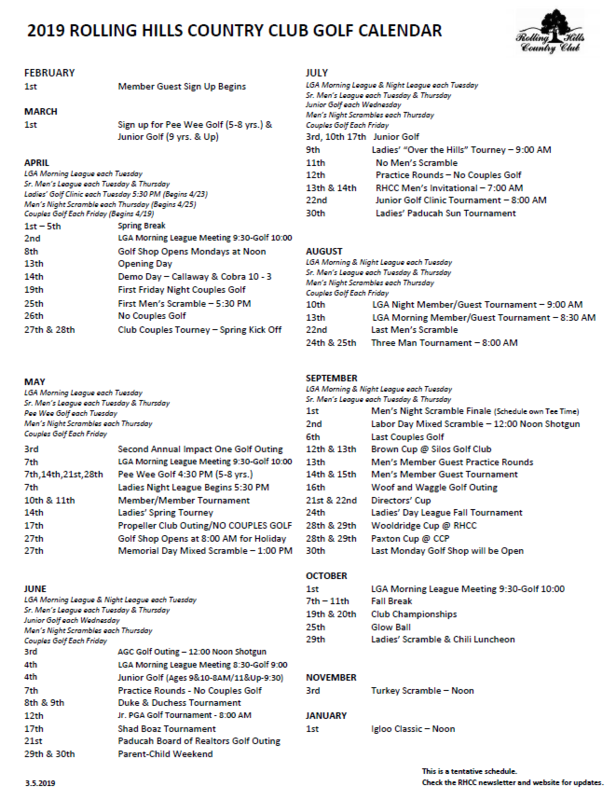 Congratulations to Mike Hayden who shot a HOLE IN ONE on June 6th, 2012 on Hole #6. Congratulations to David Spahr on his HOLE IN ONE on hole #17 on Tuesday, November 8th, 2011. Witnesses for the ace were Don Korte, Steve Bauer, Don Turner, Benny Brown and Jeff Parsley. Way to go, David !! !